AEE and CEP member companies meet with gubernatorial hopeful Chris Giunchigliani. This is a guest post from Clean Energy Project, AEE's state partner in Nevada. For more information about AEE's State Coalition, click here. 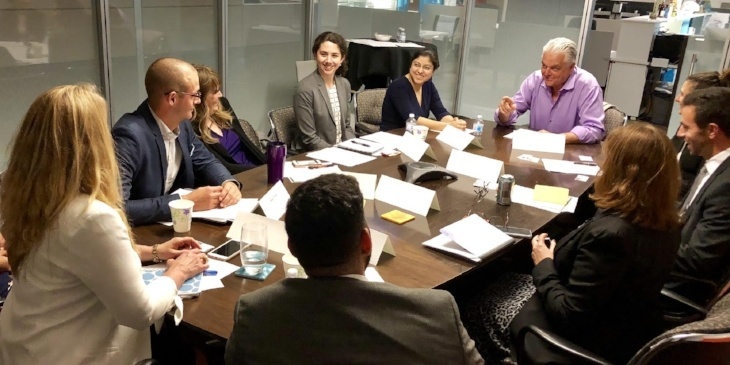 Last week, the Clean Energy Project, in conjunction with Advanced Energy Economy (AEE), hosted a series of roundtable discussions with Nevada gubernatorial candidates Chris Giunchigliani, Steve Sisolak, and a representative from Adam Laxalt’s campaign. These meetings provided an opportunity for each campaign to engage with representatives from clean energy companies and learn about the possibilities for Nevada’s energy future. All three guests were keen to hear the importance of clean energy to the state and were very receptive to the economic messages delivered by roundtable participants. As one industry representative mentioned, renewable energy projects can potentially create six-figure tax revenue for communities and the state that can be reinvested in the state’s economy and infrastructure. Additionally, the renewable energy industry has succeeded in galvanizing job growth, with companies such as Borrego Solar and First Solar creating around 7,000 and 2,600 jobs respectively from previous projects. The meetings included multi-faceted discussions of clean energy projects in Nevada. 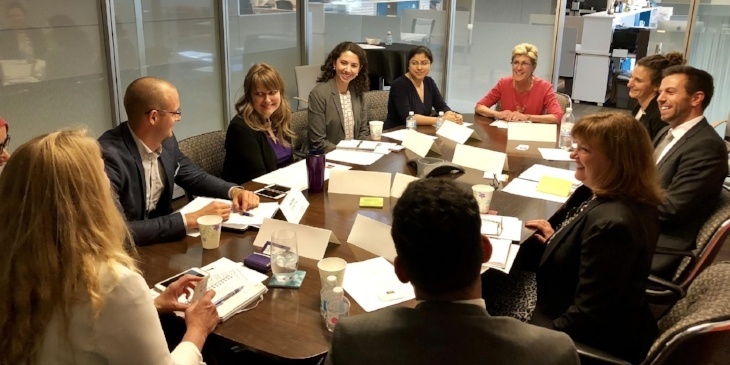 The participants reviewed policy priorities to address potential barriers to clean energy growth, including land use planning and the need to address regulatory structures to take advantage of emerging technologies. The group expressed overwhelming support for instituting more accessible career paths and apprenticeship opportunities for local workers. Several of the companies, including First Solar and Recurrent Energy, have already had success setting up training programs. AEE/CEP Roundtable with candidate Steve Sisolak. The group meetings provided an educational venue for the gubernatorial candidates regarding the economic potential of clean energy. The industry participants described Nevada’s business climate as very positive towards renewable energy development, while voicing support for additional policies to reward and incentivize energy efficiency. CEP and AEE will continue our gubernatorial engagement project through the rest of the year. As the campaigns move past the primaries and into the general election, we will develop a clean energy policy platform and bring more businesses to the table to educate Nevada’s next governor. Stay tuned!